3. ANTI-MOISTURE - This feet cover can keep furniture feet away from water, isolated water, keep furniture feet long lasting. 5. REDUCE NOISE - This leg cap can greatly reduce the noise, you could no more worry about suffering a harsh sound when moving the furniture. 6. ANTISLIP - The bottom of rubber leg cap anti-slip thread surface will be effective anti-skid than the original rubber feet. 7. 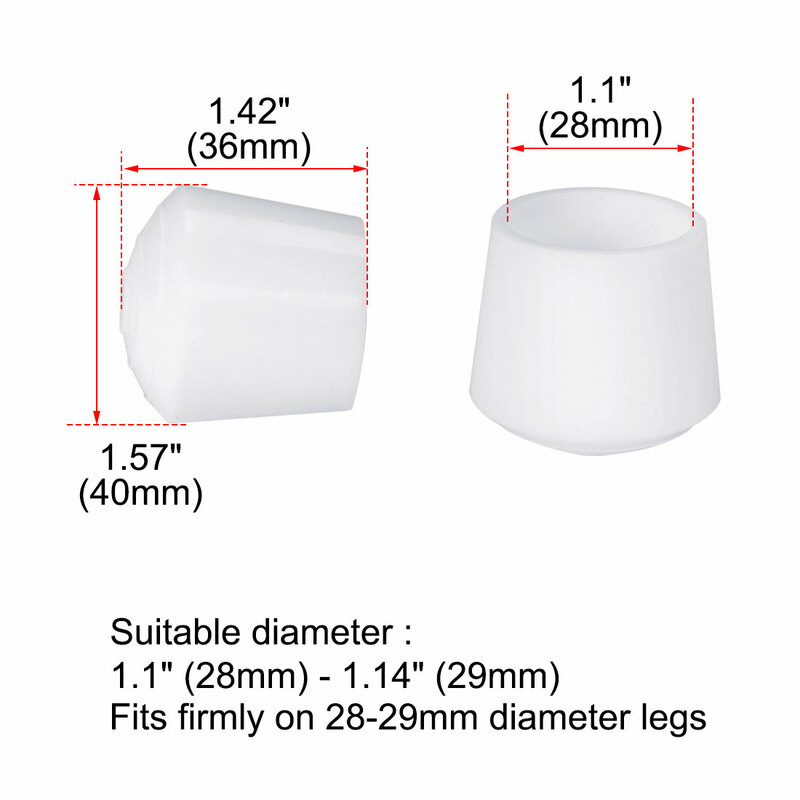 APPLICATION - These leg caps can be used on home, office, hotel, restaurant, apartment, garage. Suit for furniture legs. Typically used on tables, desks, hallstand, chairs, cabinets, sofas, benches, armchairs, folding chairs, stools, and so on. 8. GREAT MATCHING - The pure color leg cap suitable for decorating most of furniture, make your furniture and room more beautiful and feel more comfortable. 2. Please check your furniture leg dimension to fit the furniture feet cover before buying this item. 3. If mind the smell, you can leave them in an air circulate place until the smell is over before using it.